If you thought southeast Queensland was just bustling Brisbane and the glamourous Gold Coast then think again. Behind the famous surfing beaches and towering highrises is a world as ancient as the continent we live on. A world made up of Gondwana Rainforest, Antarctic beech trees, rugged mountain scenery and quietly flowing streams. You couldn’t think of more of a contrast. And what’s the best way to explore this beautiful part of the Sunshine State? Well you’re in luck because Life’s An Adventure offers two very different pack-free walking experiences in the area. 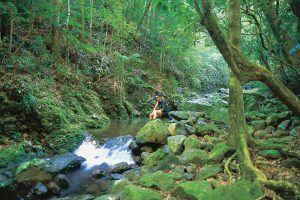 One is the Gold Coast Hinterland Traverse walk – a three day walking experience that takes you away from the hustle and bustle of Australia’s most famous beach strip into the spectacular Lamington National Park. This World Heritage Area comprises of Australia’s largest remnant of ancient subtropical Gondwana Rainforests. You’ll explore misty forests of 2000 year old Antarctic beech trees, rugged mountain scenery, lush palm filled gullies and cascading crystal clear streams. A birdlovers paradise, this area is home to more than 230 species including the rare Albert’s lyrebird and regent bowerbird as well as Australia’s largest collection of sub tropical birds. This unique and special region is not to be missed. The beauty of the Gold Coast Hinterland. You’ll enjoy the ambience of staying in two mountain-top lodges. As you traverse Lamington National Park, night one will be spent in the luxurious Sky Lodges at Binna Burra Lodge, whilst night two is at the iconic O’Reilly’s Rainforest Retreat. 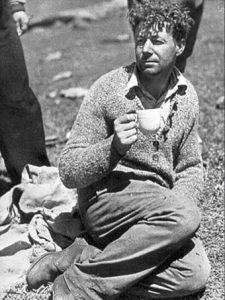 While you’re there make sure you hear the story of Bernard O’Reilly and the search for the missing Stinson plane. It’s a cracking yarn! And was made into a movie starring Australia’s most Australian actor, Jack Thompson! And of course it wouldn’t be a Life’s An Adventure walk without an extra “Wow!” factor thrown in. This one is a scenic helicopter ride over the spectacular Gold Coast Hinterland Escarpment. Landing at O’Reilly’s Canungra Valley Vineyards where you’ll enjoy a celebratory lunch and wine tasting. Enough said! Click here for more info on the Gold Coast Hinterland Traverse walk and here to read about the other fabulous southeast Qld walk. Remember, both walking experiences offer easier and more challenging walking options for guests to cater for a range of abilities and fitness levels.